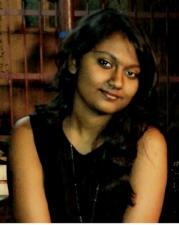 Anushka Bhattacharya is an international student from Mumbai, India. She is a freshman majoring in Electrical Engineering. In the future, she would like to attend graduate school in the silicon valley and get a PhD in the same field. She wants to work with Artificial Intelligence and Electrical Cars. She is a big fan of Tesla. She became a part of JBB to become a better leader and meet women leaders in the STEM field. She thinks that JBB would be a great learning opportunity. Helen is a senior studying ecology and evolutionary biology. 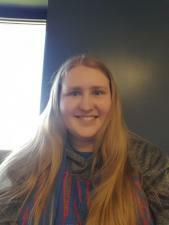 After graduating this May, she is taking a gap year during which she hopes to participate in an internship or two before going to graduate school the following fall. Helen joined JBB because she wanted to learn how to be a better leader. 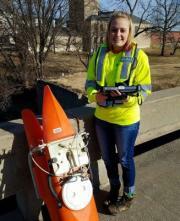 Chantelle is an environmental geology major interested in hydrology. For the future, she plans to attend graduate school and then work and do research for the United States Geological Survey. Chantelle joined JBB because she has an interest in advancing women in STEM, as well as in gaining experience researching and presenting at conferences. Marissa is a freshman studying microbiology. With this major she intends on conducting graduate and undergraduate research and becoming an epidemiologist. She joined Jayhawks Breaking Barriers because she thought it would be an amazing opportunity to meet other women in STEM and receive guidance from successful women in similar fields. So far this experience is everything she expected and more, she's already learned so much. 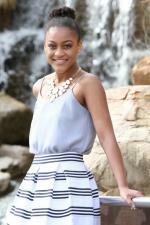 Aleah is a junior, from Kansas City, KS majoring in biology. After finishing her B.S. she plans to attend Pharmacy School. When she is not involved with JBB she is volunteering at a local hospital pharmacy and serves as a member of the African Student Association. This semester she is also participating in Alternative Breaks, a program at KU that provides students with hands-on service learning experience with non-profit organizations that address specific issues such as; environmentalism, education, community organizing, health, sustainability, homelessness, aging, immigration, LGBTQ rights, and disaster relief. Aleah joined JBB because she believes that it is the perfect place to exemplify her leadership skills, learn about issues regarding gender compositions in the STEM field, and meet individuals with like minded goals for change. Elizabeth is a Senior who recently completed her BA in East Asian Languages & Cultures with an emphasis in Mandarin, and is finishing her BS in Microbiology. She is currently serving as Director of Alternative Breaks, and volunteers with the Lawrence Memorial Hospital and Headquarters Counseling Center. Ultimately, Elizabeth plans to matriculate medical school and specialize in pediatric surgery. She joined Jayhawks Breaking Barriers in support of her female peers in STEM. When Savannah is not participating in clubs at KU, she enjoys spending her time working on creative projects, as it is her dream to bring together art and mechanical design. She also spends a great deal of time in various volunteer activities to include outdoor, civic, and community programs. Savannah wanted to join Jayhawks Breaking Barriers in order to learn more about the gender gap in academia and industry and to try and solve the problem of the gender gap. 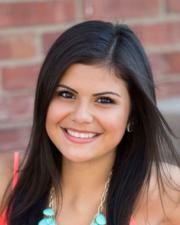 Ana is a senior from Kansas City, Kansas studying Human Biology. She is also a Kauffman Scholar. She has conducted independent research projects observing cell signaling pathways in Dictyostelium discoideum and Nematostella vectensis. 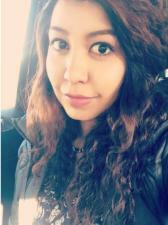 Ana enjoys being involved on campus serving as an exec member for the Hispanic American Leadership Organization, as well as being involved in her community volunteering as a Spanish interpreter at Jaydoc-Free clinic. She joined JBB to explore the gender gap in STEM fields, and spread awareness. Emilia is a freshman studying Computer Science. Although she doesn’t know what to specialize in, she is very interested in software development and computer graphics. Also, she is planning on conducting research in the future and attend Grad School. She joined Jayhawks Breaking Barriers because she thought it would be an amazing opportunity to meet other women that have leadership positions in STEM in order to share experiences and learn from them. 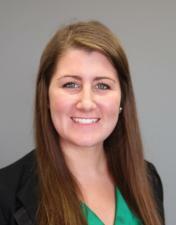 Ashleigh is a freshmen from Newton, KS studying behavioral neuroscience. She is on the pre-medical track looking to pursue a career in surgery. 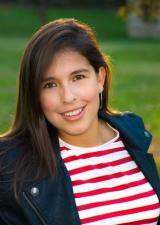 Although what she would like to specialize in is not decided yet, she is very interested in neurosurgery or trauma. 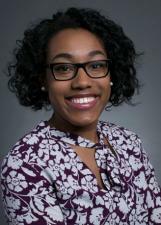 Ashleigh joined JBB to gain connections and advice from graduates in the STEM field, while also gaining effective leadership skills. Tanya is a freshman studying Human Biology with a concentration in Pre-Optometry from Great Bend, Kansas. When graduating, she plans to pursue an O.D. at a college of optometry to become an optometrist. Tanya joined Jayhawks Breaking Barriers because it is a great opportunity to research the gender differences in the STEM fields as well as a way to make more people aware of this issue and to inspire women to strive for leadership roles in their fields. 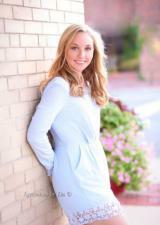 Emily is a freshman majoring in biochemistry. After she graduates, she hopes to pursue a PhD in molecular and cellular biology. Right now, she is involved in undergraduate research. She joined Jayhawks Breaking Barriers to learn how to become a better leader and to bring more attention to the gender gap in STEM fields.